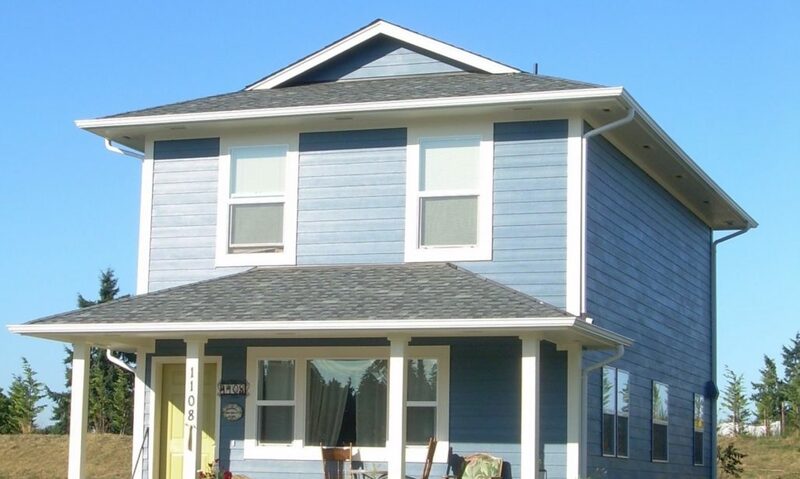 Since 1985 Tacoma/Pierce County Habitat for Humanity has been building and rehabilitating homes, increasing access to affordable homeownership for hard working families. Explore our completed projects below. 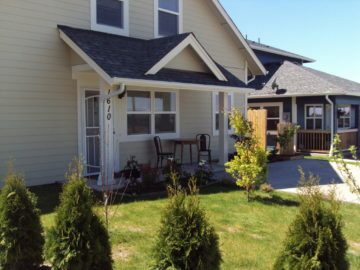 A cottage community of 30 homes and common spaces, completed in December 2017. 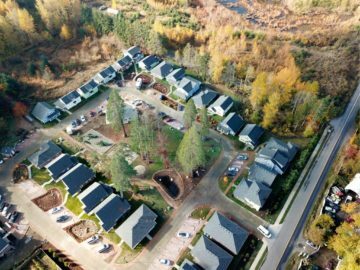 The Woods at Golden Given is Tacoma/Pierce County Habitat for Humanity’s largest neighborhood to date, consisting of 30 homes and integrated common spaces including a community house, sports court, playground, community garden, and wetlands overlook. 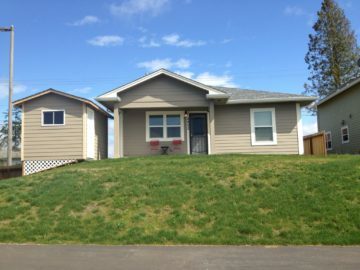 The development is 7.23 acres in the Midland neighborhood of unincorporated Pierce County. 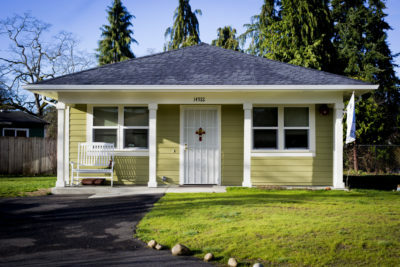 When Tacoma/Pierce County Habitat for Humanity purchased the properties in 2009 and 2010, the site contained a dilapidated house and another structure that attracted illegal dumping and other questionable activity. 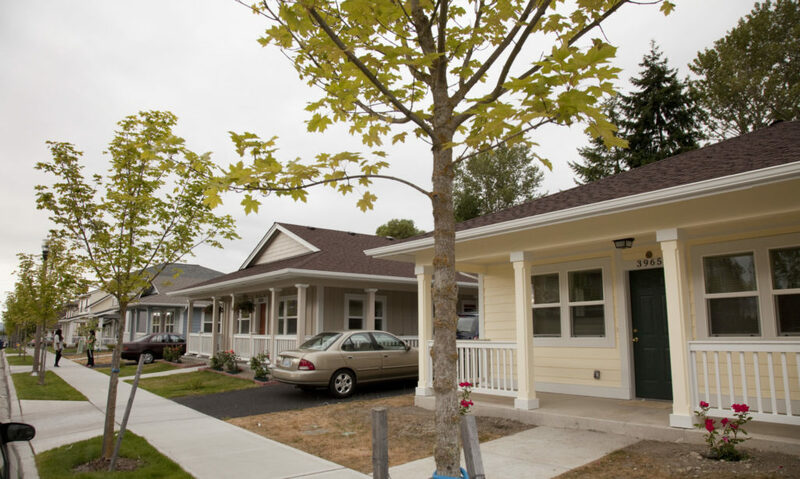 The design of this innovative project required the collaboration of local architects, land-use planners, design specialists, and Habitat for Humanity representatives. Four wetlands initially existed in various locations throughout the site. Habitat for Humanity worked closely with wetland biologists, planners, and engineers to create a plan that relocated the two wetlands near the largest, most highly functional wetland on the property – expanding and enhancing it by planting indigenous wetland plant species. 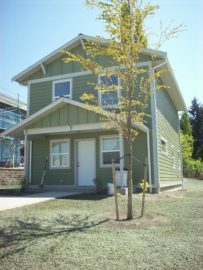 Working with an arborist, planners, engineers, and landscape architects, Habitat made every attempt to retain 50% of the trees from the site, well above Pierce County’s 30% requirement. Additionally, 72 new trees were planted. 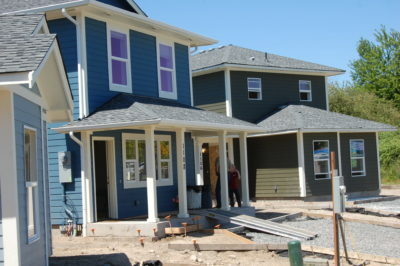 Trees removed from the site were milled and made into construction materials used in the houses. Those that could not be milled, were chipped and used a mulch and compost for the project. 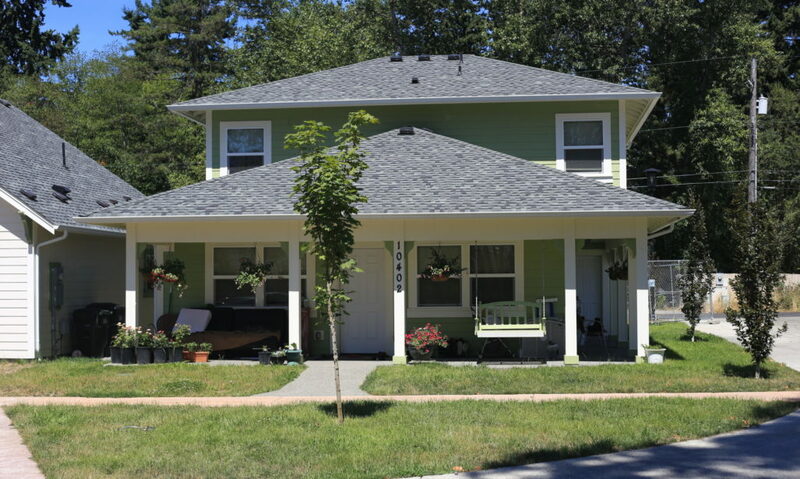 Homes at The Woods are ENERGY STAR® certified. 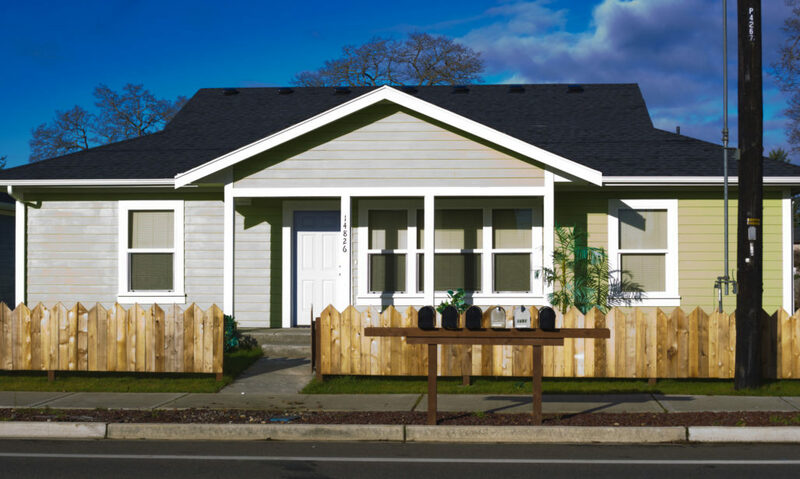 Sustainable building practices and low-impact development features at The Woods include rain gardens, tree retention and recycling, wetland mitigation, storm drain improvements, and pervious pavement. 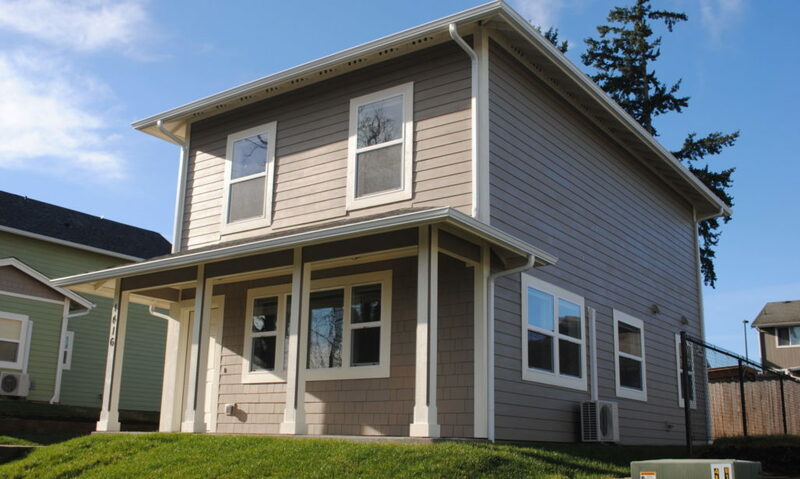 In partnership with Tacoma Power, this year-long study at The Woods helped determine the performance and economics of ductless heat pump vs baseboard heating systems. 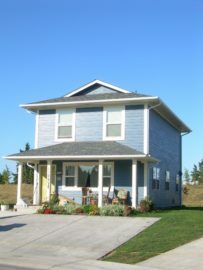 Swan Creek Lane is a 5-home project on a cul de sac, completed in 2016. 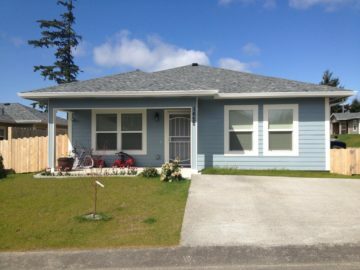 Habitat started working in Tillicum in 2012, with new construction and rehab work, and new construction continues there today. 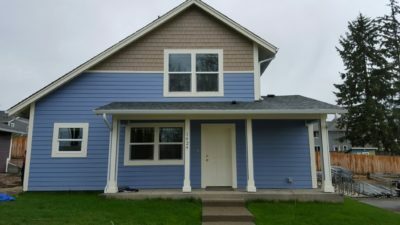 The City of Lakewood announced in 2009 that it would use its share of federal Neighborhood Stabilization Program funding to provide affordable homeownership opportunities in the community of Tillicum, in partnership with Habitat for Humanity. 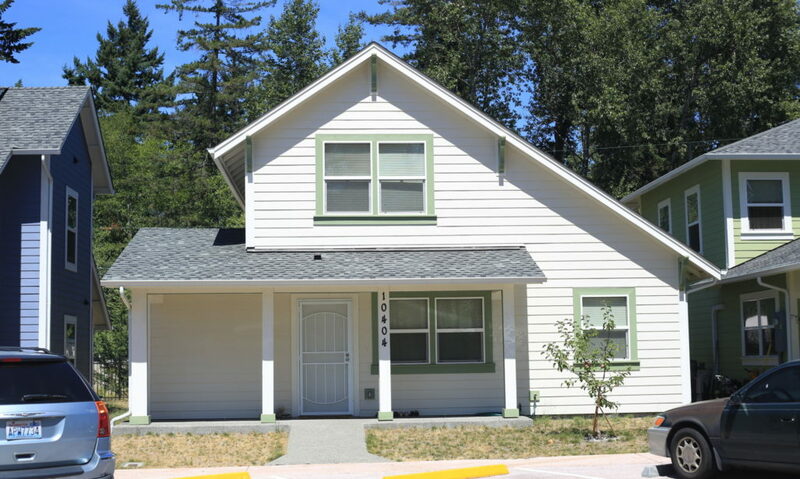 The first Tillicum project included five sites and 30 homes. 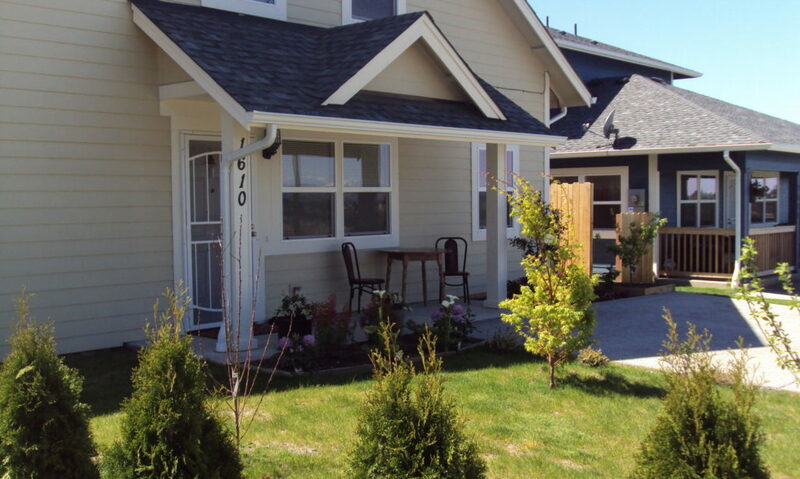 Additionally, Habitat partnered with homeowners in the area to make improvements on their homes with no-interest loans and volunteer labor. 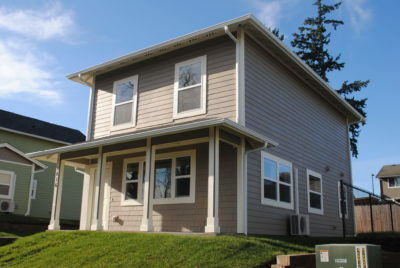 In March 2010, Tacoma/Pierce County Habitat for Humanity purchased a 1.74-acre lot in the south-end neighborhood of Tacoma, using federal Neighborhood Stabilization Program funds allocated to Tacoma through HUD. 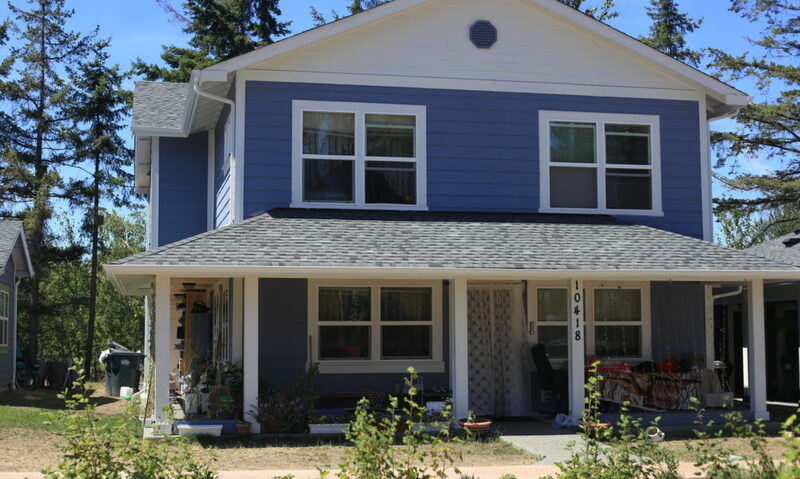 Prior to its purchase by Habitat for Humanity, the property was bank owned and the existing house condemned by the City of Tacoma, attracting vandalism, illegal dumping and homeless encampments. Habitat has razed the dilapidated structure by allowing the Tacoma Fire department to use it as a practice burn and removed the debris. 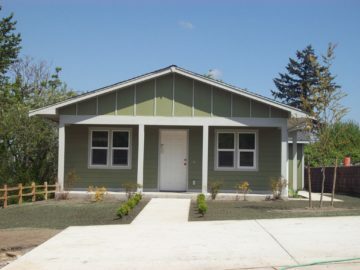 Development on the project began in 2011 and construction of all 13 homes wrapped up in June 2013. 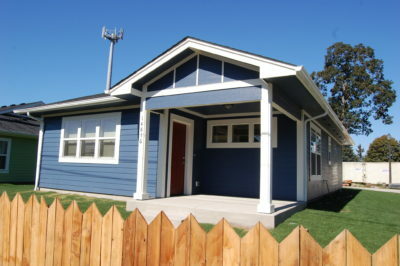 The Founder’s Circle, a 6 home development, completed in late fall 2011. 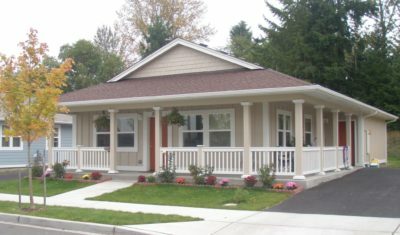 The neighborhood was called Founder’s Circle in honor of Tacoma/Pierce County Habitat for Humanity’s 25th anniversary in 2010. Prior to Habitat for Humanity’s purchase of the vacant land, the Founder’s Circle property was a homeless encampment. Habitat staff and volunteers put in a ridge and a line of new evergreens to act as a sound barrier between the neighborhood and Highway 16, and to add beauty to this new development. 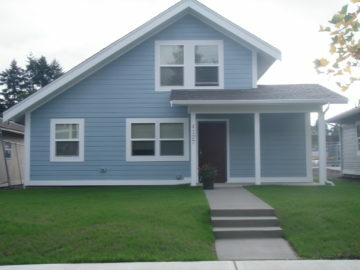 Larrabee Terrace, a 12 home development in East Tacoma, completed in 2009. 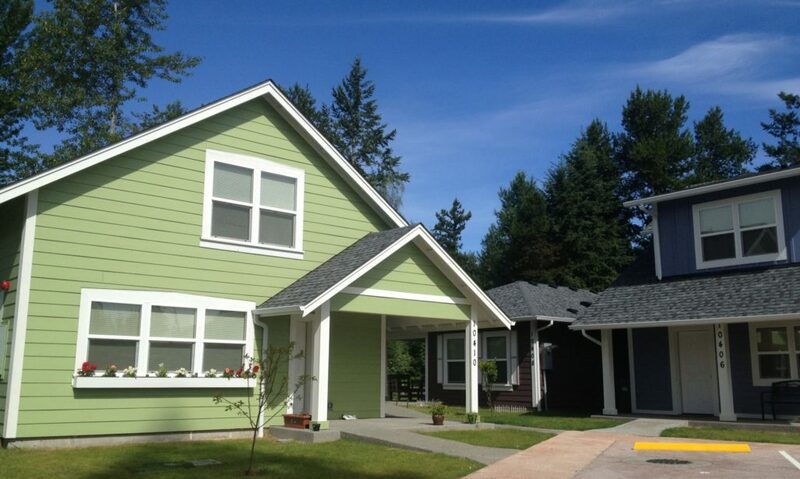 The Larabee Terrace project included our first Insulated Concrete Form (ICF) and solar house. 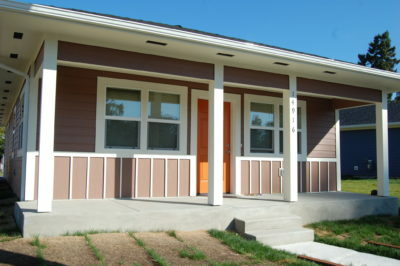 Due to the slope of the site, Habitat had to install retaining walls to create the building sites. 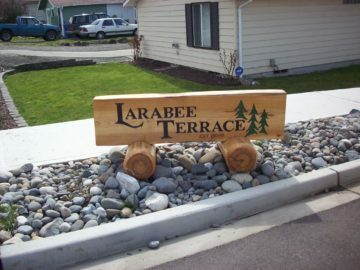 Larrabee Terrace was named in honor of Gerry Larabee, a long-time Habitat volunteer, who passed away in 2008. 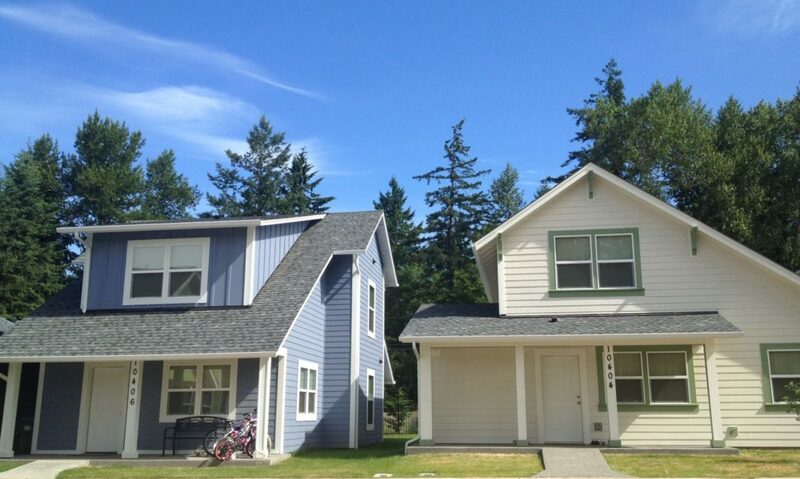 Salishan, a 17 home development in East Tacoma, completed in two phases – the first in 2007 and the second in 2011.